Notes: The Bubble Tip Anemone is usually found in coral rubble, or in solid reefs. Its pedal disc is usually attached deep within dead coral. It stretches its tentacles to become sweeper tentacles when hungry. That is, the tentacles become elongated to capture a meal, then the tentacles shorten and the bubble tips return. Handle this invertebrate, and all Anemones, with care. They can sting other Anemones, as well as Corals. 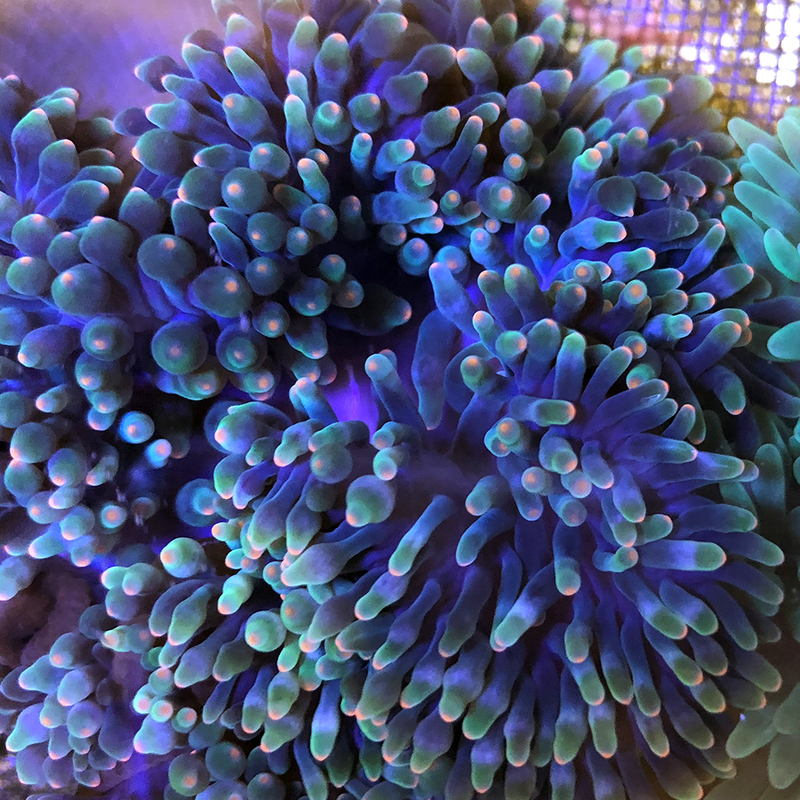 In order for the Green Bubble Tip Anemone to keep its bright coloration and bulb tips, it needs strong illumination. These anemones will typically remain compact and will gain bulb tips under intense lighting. If the lighting is insufficient, they will expand their bodies to great lengths to make the most of the available light. It should be kept with a Clownfish for best results. At times, the tentacles may appear stringy; this may be due to insufficient light or the need for food. Its diet should include chopped fish, shrimp, or worms if a clownfish is not present.